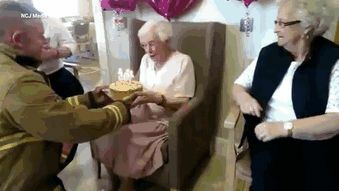 After a decade of making the same wish every year, a woman finally got what she wanted on her 105th birthday. While you wouldn’t expect this type of wish from someone her age, 105-year old Ivena Smailes doesn’t let her age bring her down. As the Spice Girls would say, “Spice up your life,” and Ivena lives her life by these words every single day. 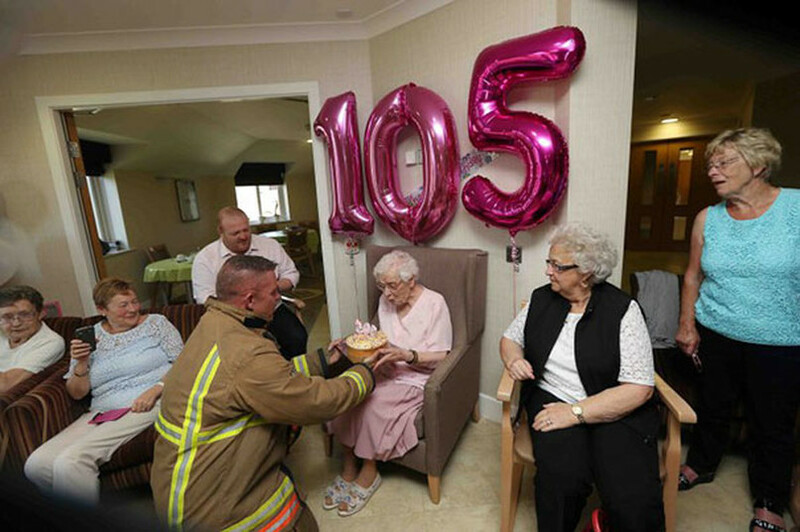 Known as “Aunty Ivy” in her nursing home in the UK, the quirky old woman stunned her family and friends when she requested that her birthday cake be delivered to her by a Tattooed fireman. 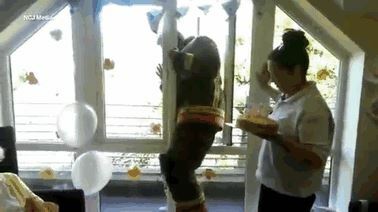 Almost a decade later of asking for the same wish on each birthday, her family finally made her wish come true! Ivena had been disappointed for years, surprised that her family never followed through on the one simple wish (or so she thought) she had. However, once her family realized how serious she was about it, they finally decided to make it happen. 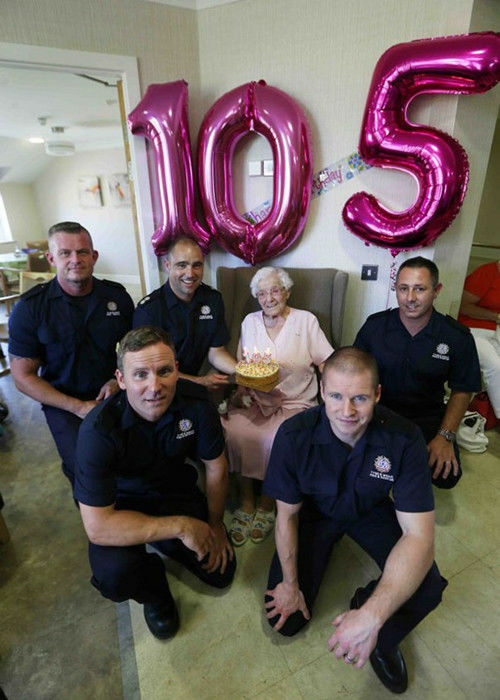 On the day of her 105th birthday, Ivena was shocked and beyond thrilled (to say the least) when a tall, tattooed fireman came climbing through the 3rd floor window of her nursing home carrying her favorite cake, a Victoria sponge cake. Everyone in the nursing home is very fond of Ivena and her great sense of humor. She is always keeping everyone on their toes with her outrageous ideas. According to one of the caretakers, Ivena also requested that everyone climb a tree on her birthday last year. 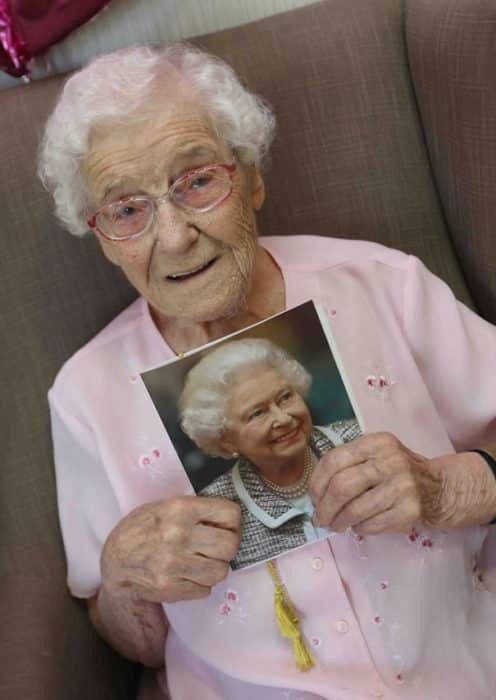 Now that Ivena’s one big birthday wish has finally come true, we cannot wait to see what outrageous request comes with her 106th birthday. One thing is for certain, it will be sure to entertain. Nothing makes us happier than seeing someone of her age with so much humor and enthusiasm. Keep on living life to the fullest, Ivena, and happy 105th Birthday!